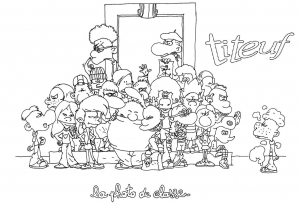 Based on a french cartoon, Titeuf is an animated TV serie that tells the story of a pre teenager who discovers the world. The first appearance of this franchise is in 2000. This anime has a total of 250 episodes !